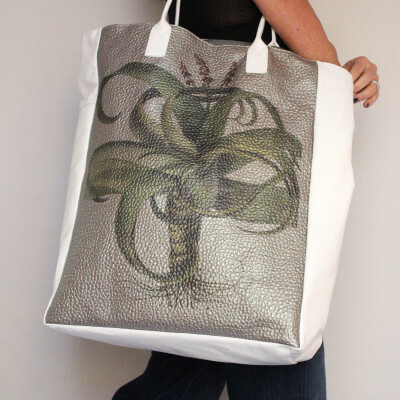 Exaggerated, modern, roomy. 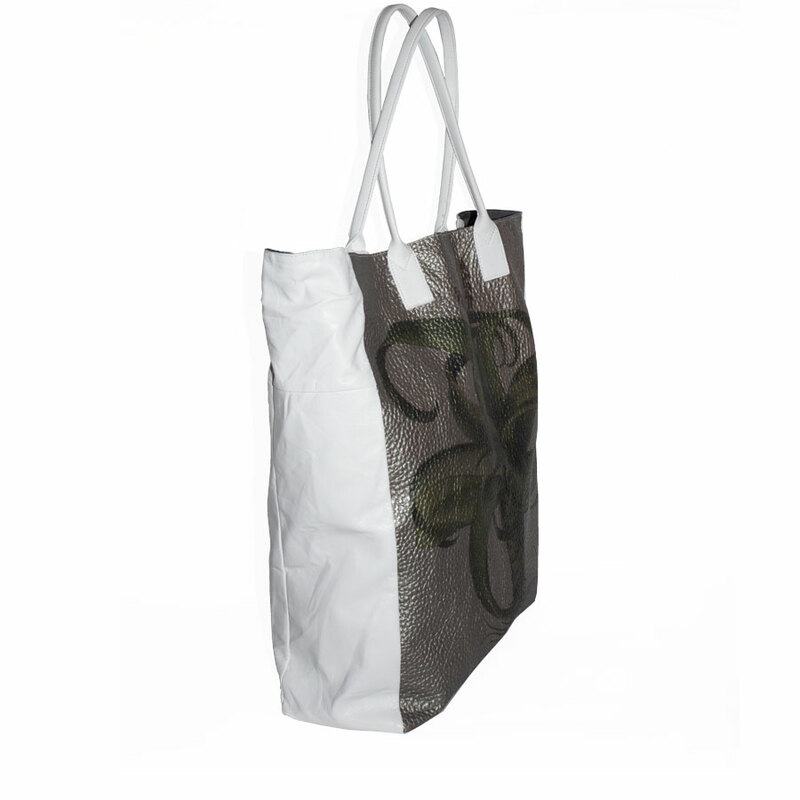 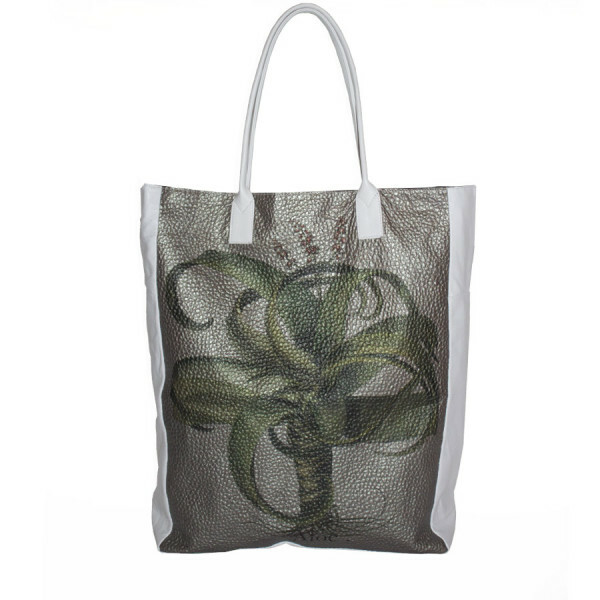 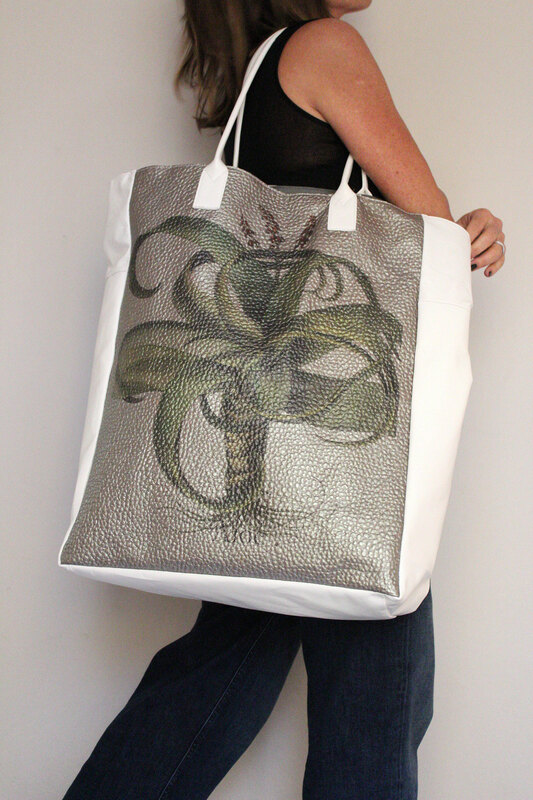 Is a semi-matte leather shopper with aloe botanical printed insert. 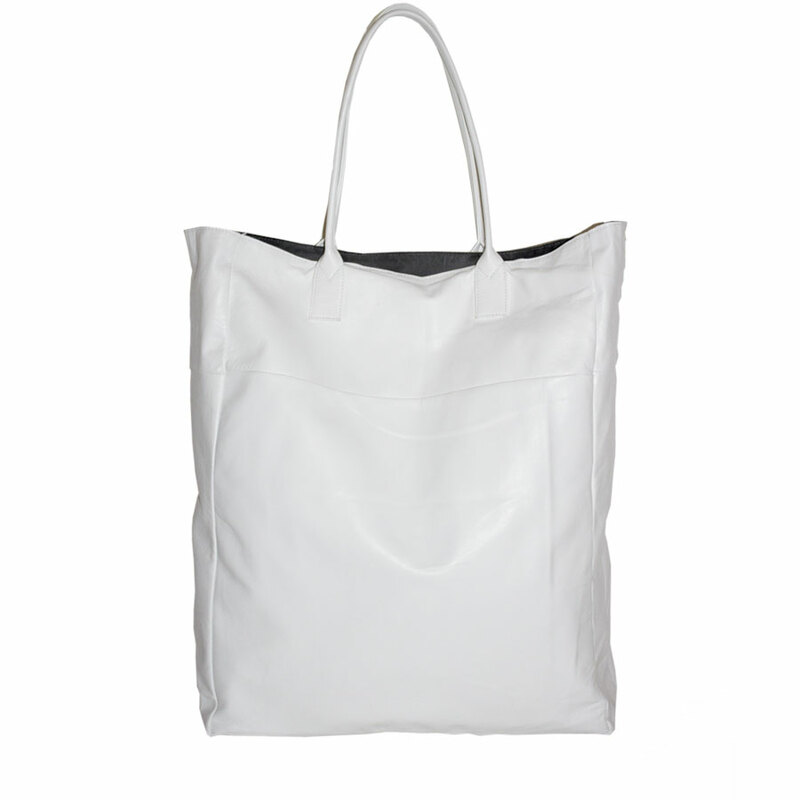 The large dimensions make it without limits of use, from work to the beach. Perfect for a dynamic woman who never sacrifices style.